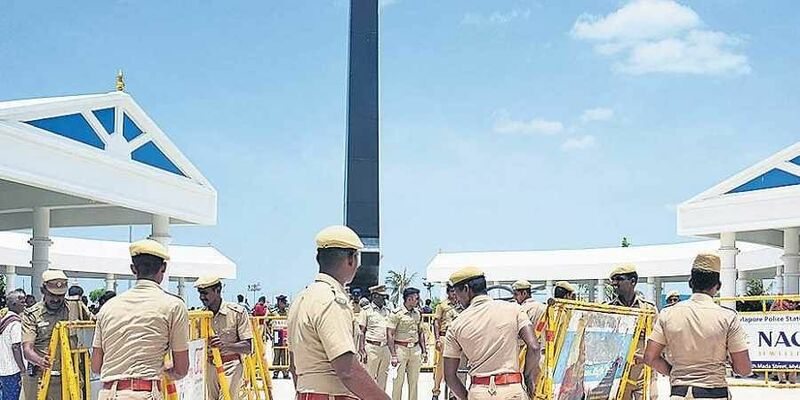 CHENNAI: Four patients including one woman police constable, who suffered wrist fracture, in the melee at Rajaji Hall on Wednesday where mortal remains of the late DMK chief M Karunanidhi were kept are still undergoing treatment at Rajiv Gandhi Government General Hospital. Three people had died and over 60 people suffered injuries in the scuffle at the venue. “We received 55 patients on Wednesday including one police constable, of whom four people are still undergoing treatment. The constable suffered wrist bone fracture,” said Dr R Jayanthi, Dean of the hospital. The Government Multi Super-Specialty Hospital, which is on the same campus as Rajaji Hall, received 55 patients of whom 49 trauma cases were referred to the RGGGH.